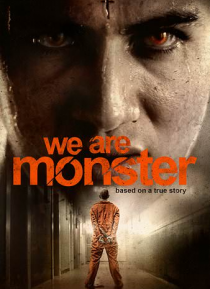 We Are Monster is based on the shocking true story of Robert Stewart and his brutal murder of Zahid Mubarek at Feltham Young Offenders Institute. Despite being a known racist and very violent, Stewart was still placed in a cell with Mubarek, a young Asian man who was due to be released in 6 weeks. Over this six week period, Stewart was allowed by the prison's indifference to become the 'monster' h… e always wanted to be. Hours before Mubarek's release, Stewart murdered him in an unprovoked attack.